The theme of this week’s WordPress Weekly Photo Challenge is ADMIRATION. One of the things I admire most about us…all of us…is creativity. We see it in poets, composers, painters, sculptors, inventors, etc. I especially admire the creativity I find in exciting garden design. 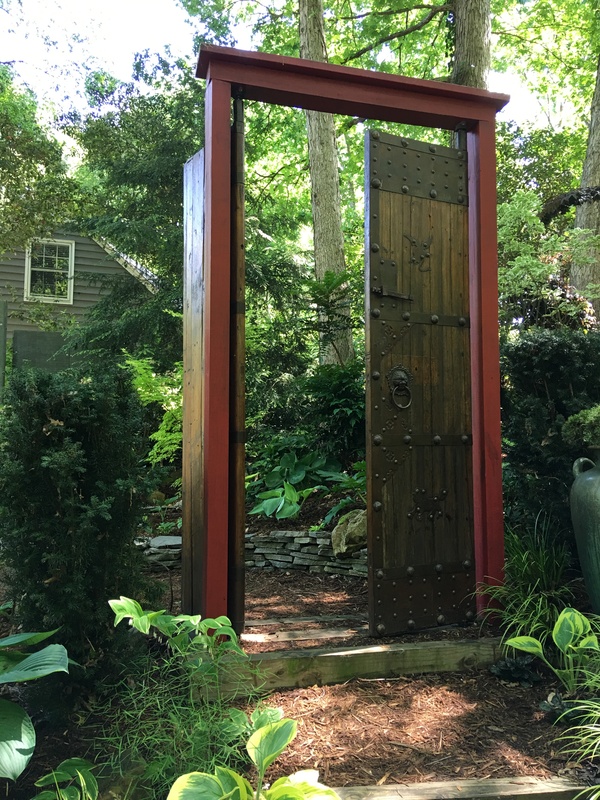 Last weekend the Charlotte Garden Club sponsored its annual Art in the Garden Tour. The eight gardens were different in size, scope and content, but I was particularly struck by the creativity displayed in Jay Sifford’s garden. It was easy to see why he is considered such an imaginative garden designer. 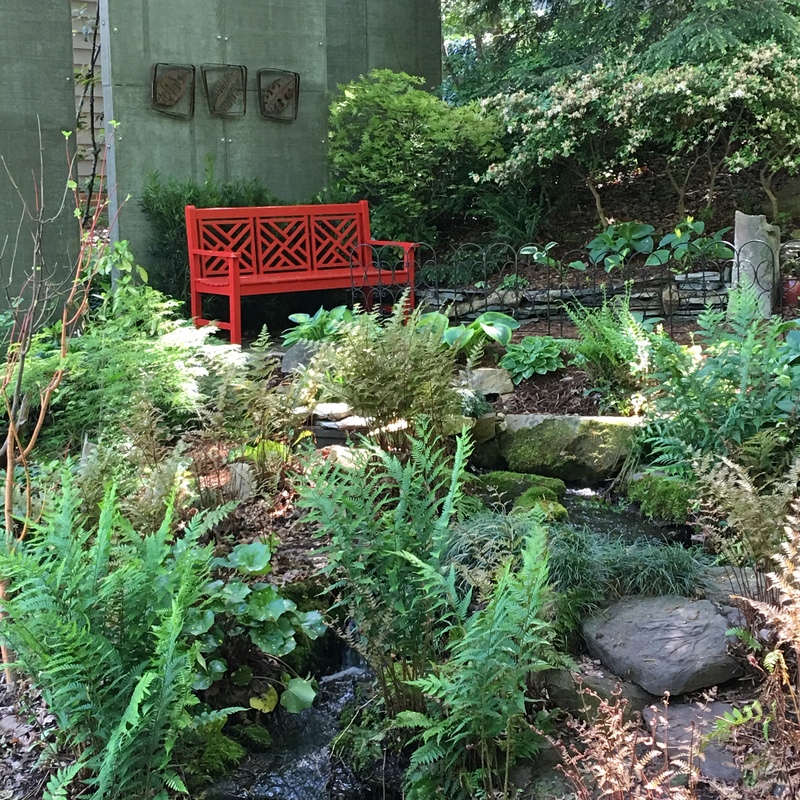 He has designed and constructed an inspiring garden around his home, perched on the edge of what is essentially a ravine. One can only admire his construction of paths and steps, the sculptures, the use of pots, the combinations of plants, and the way he has tamed the very challenging terrain that defines the space. Brevity encourages me to limit this response to the weekly challenge to just a few photographs that demonstrate the creativity in Jay’s design that I admire so much. 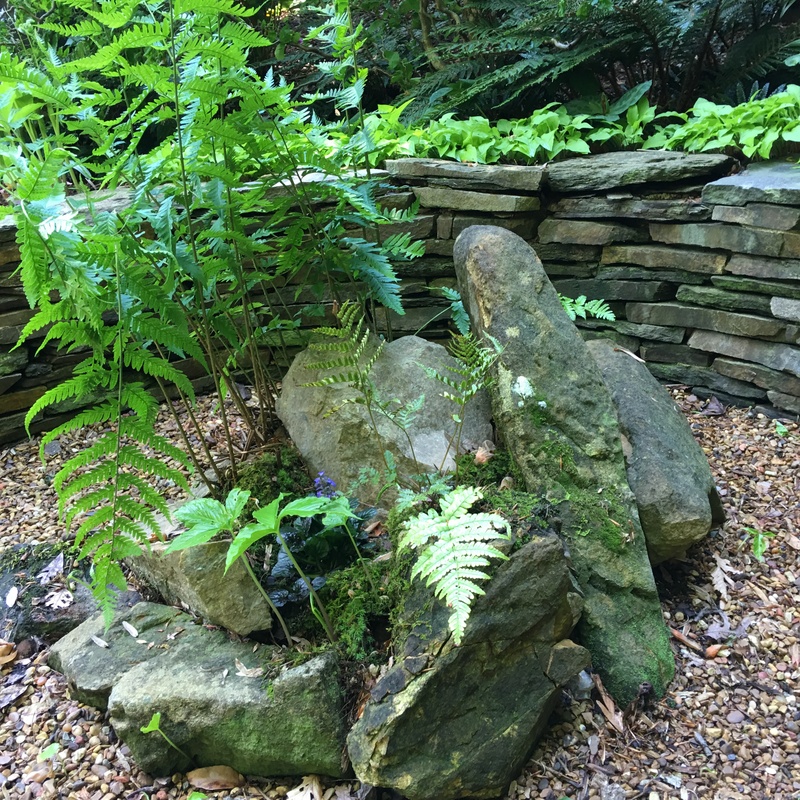 This entry was posted in Gardening, Weekly Photo Challenge and tagged garden design, Jay Sifford, water feature. Bookmark the permalink. Waterfalls are so hard to create! I love the door idea. What a fabulous garden. Thanks for sharing your photos. Thank you, Susi. I was tempted to include a dozen or so more photos, but I have found it prudent to limit such. Thanks, Helen. It is a most inspiring garden. Lovely! Thanks for sharing this inspiring garden with all of us! Thanks. I could have spent the day there. Hopefully, we will be able to go back. Thank you, Amy. I hope to show some highlights of some of the other gardens on the tour. I can imagine why you admire him and the garden. Just wonderful. I love the door idea and the colours too. Would have loved to walk there myself. Thank you, Leya. Great gardens make for a great experience. Art in the Garden is an excellent idea. That gate reminds me of a one in the movie “Spring, Summer, Fall, Winter, … and Spring”. People can go around it since there is no wall, but everyone dutifully opens the door to go through it. I didn’t mention it, but there were plein aire artists painting in each of the gardens during the tour. So pretty. How I would like to spend some time here. Thanks, Amy. You would be hard pressed to find a more imaginative gareden. Beautiful garden John, I share your admiration. Thanks, Susie. 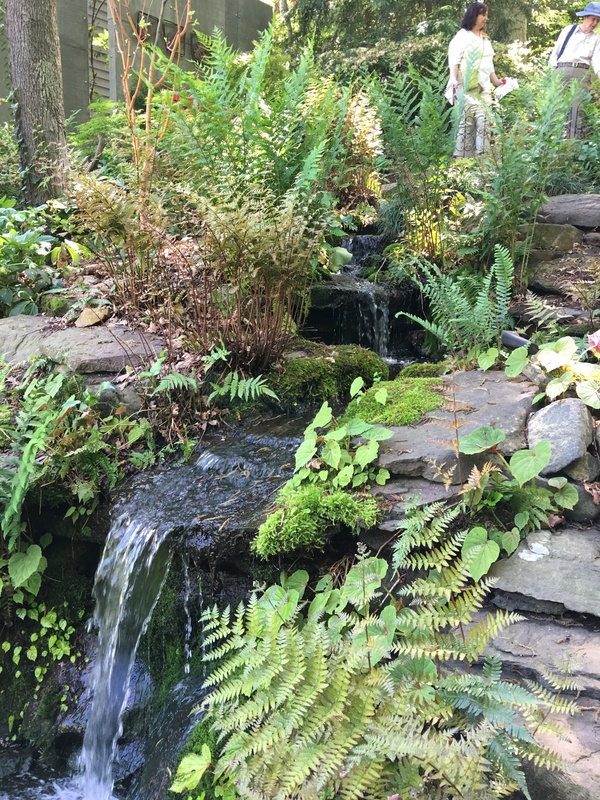 Perhaps I can find a time to visit another beautiful garden….yours! Looks like this is the week! Lovely garden, would like to see more of it. Thanks, Pauline. It is truly that. A super garden, John, thanks for sharing. The red bench really sings amongst the green, doesn’t it? Thanks, Cathy. I could have included many, many more photos because it is truly a special garden. Thanks. You are right; it is a special place.